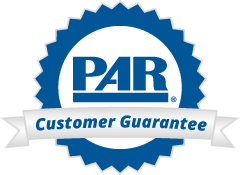 Welcome to the fall edition of The PAR Quarterly. This newsletter is designed to highlight topics of interest to you, our Customers. In this issue, we consider the issue of concussion and the important role that psychologists can play in helping educators, coaches, and parents recognize and respond to concussions in the school setting. Concussion has become a hot topic in the media. From playground safety tips to state legislation to lawsuits by professional athletes, news stories about concussion abound. Research into the short- and long-term effects of concussion is coming under close scrutiny as people try to understand how best to protect children from injury. In June, the New York State Senate passed the Concussion Management Awareness Act, directing state health and education departments to adopt rules and regulations for the treatment and monitoring of students with mild traumatic brain injuries (http://www.nysenate.gov/press-release/senate-passes-concussion-management-awareness-act). "The number of children each year who suffer brain injuries, such as concussions, is alarming," said State Senator Kemp Hannon, sponsor of the bill. "New York needs legislation to outline rules and regulations for the treatment and monitoring of students with mild traumatic brain injuries." A Colorado law passed in April of this year requires concussion recognition training not only for school sports coaches, but for volunteer youth athletics coaches, as well. Currently, six states have laws related to concussion management, and eleven others have pending legislation. To learn more about your state's requirements, visit http://www.sportsconcussions.org/ibaseline/state-laws/statelaws?id=53. A concussion is a brain injury. According to the Centers for Disease Control and Prevention, concussions are caused by a bump or blow to the head—and even a "ding" or a mild bump can be serious (http://www.cdc.gov/concussioninYouthSports/english/toolkit_parents_factsheet.htm). Concussions cause a disruption in the function of the brain which may result in physical, cognitive, and/or emotional symptoms. Often, a concussion does not involve a loss of consciousness. Estimates now indicate that up to 3.8 million people sustain a concussion each year. Some of the more common causes include motor vehicle accidents, falls, bicycle accidents, and sports/recreation activities. Concussions can occur in any sport, but have higher frequencies in contact sports such as football, ice hockey, soccer, and basketball. Recent research on concussion in young athletes suggests the possibility of serious, long-term effects related to cognition, attention, and even balance (http://well.blogs.nytimes.com/2010/09/22/can-concussions-in-kids-cause-problems-later-in-life). How can school psychologists help? In the May 2011 issue of Communiqué, Eric Rossen considers some of the ways that school psychologists can contribute to a comprehensive concussion management plan in a school setting (http://www.nasponline.org/publications/cq/39/7/role-of-the-school-psychologist.aspx). School psychologists can help address the problem of concussion by first understanding and interpreting the recent flood of information on concussion, and then by sharing what they know with the teachers, coaches, and parents with whom they serve. With specialized training in the assessment of neurocognitive functioning, psychologists bring an invaluable perspective to the table. The National Academy of Neuropsychology offers two free concussion awareness videos that would be excellent resources to share with P.E. teachers and coaches. To download and view "Concussions in Football" or "Concussions in Hockey," visit the NAN website (https://www.nanonline.org/Default.aspx) and scroll to the links at the bottom of the page. Over the past year, PAR has worked closely with some of the world's leading experts on concussion to develop a tool to help coaches and parents recognize and respond to possible concussions in young athletes. PAR's Concussion Recognition & Response™ app was developed by Gerard A. Gioia, PhD, Chief of the Division of Pediatric Neuropsychology at Children's National Medical Center, and Jason Mihalik, PhD, Assistant Professor of Exercise and Sport Science at the University of North Carolina. Dr. Gioia has also created a video about using the app to recognize and respond to concussion in young athletes. The video, produced by the Children's National Medical Center, can be viewed at http://media.childrensnational.org/#/video/Recently Added/Gerard Gioia, PhD discusses concussion application/. If you plan to share information about the app with parents, teachers, coaches, or other members of your community, you may want to take a look at a PAR PowerPoint presentation that gives an overview of the Concussion Recognition and Response app (http://www4.parinc.com/webuploads/ppt/CRR%20Presentation.ppt); or for a quick overview, see PAR's CRR video at http://www.youtube.com/watch?v=Lc7UxyI3sU8.